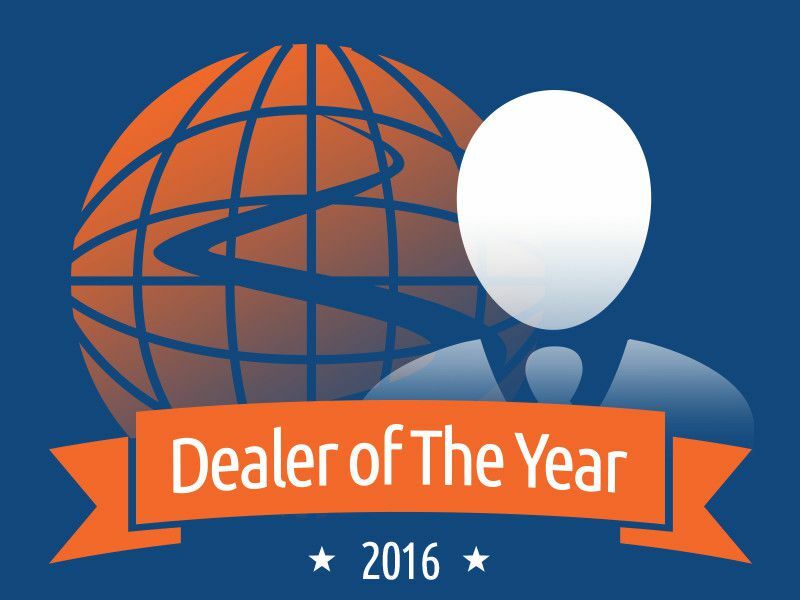 We'd like to congratulate Kyle Bolton, Director of Internet Sales of Newton Motor Group, for being named Autobytel’s Dealer of the Month for December 2016. The Autobytel Dealer Awards Program honors exceptional dealers from a competitive field of thousands of automotive retailers who employ the highest standards in customer service, Internet automotive retail sales and digital lead management processes, and mobile and emerging technologies. Tell us about yourself and your store. What is your official title, what brands do you sell, and what are your primary markets? My name is Kyle Bolton and I’m the Director of Internet Sales for Newton Motor Group. Newton Motor Group is a family owned auto group that has been serving Tennessee since 2009. We now have four dealerships comprised of five major auto manufacturers including Nissan, Ford, Chevy, Buick, and GMC. Our Nashville area locations are in Gallatin and Shelbyville; we serve all of Middle Tennessee, with a sales distance that speaks to the quality of our shopping experience. I have even personally sold 3 cars to a customer in Norway. How long have you been an Autobytel dealer and what do you think are the primary benefits of being on the Autobytel program? We’ve been with the program since early 2013, prior to my joining the company. The primary benefits of being on the Autobytel program is the consistent lead flow, the quality of which is dependent upon a dealer’s usage of the tools and recommendations that Autobytel itself provides. I have a great working relationship with my Autobytel representative; we talk at least once a week and she works very closely with me to refine the Autobytel processes to increase our close ratio. What do you think makes you so successful at meeting the needs of today’s Internet consumers? Please share a few of your best practices in terms of managing Internet leads. Autobytel has a wealth of lead performance data that makes clear that the first response is the most important and that content is king. Autobytel also provides dealers like us with concrete templates to help format our own initial responses and as the two time, #1 rated Nissan dealership in the USA by consumers (on Dealerrater.com), we leverage our reputation in our correspondence as well as answering the customer’s questions in the manner of Autobytel’s best practices. We also consistently provide a personalized video walk-around of the vehicle of interest as part of our lead responses and follow up. 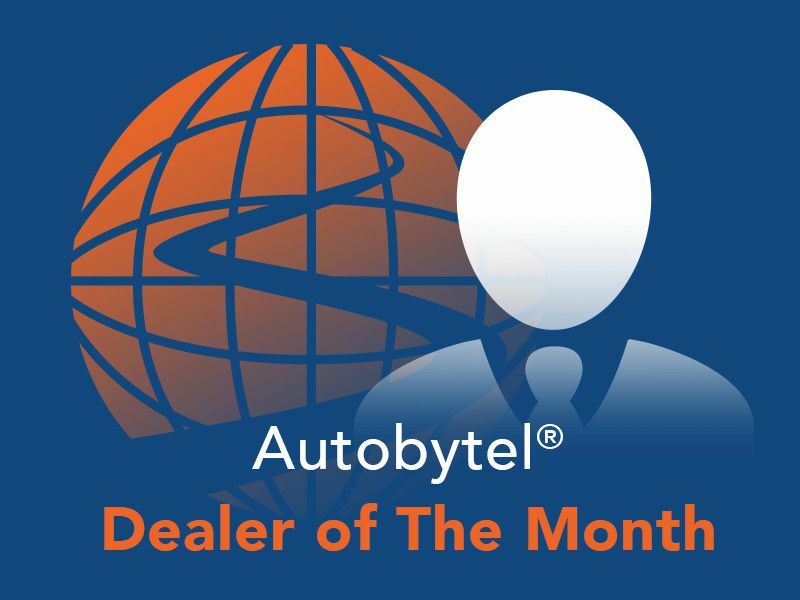 What are your thoughts about being named an Autobytel Dealer of the Month? This is the second year I have won the award and again, I feel very honored. I almost feel like I am taking credit for the dedicated work of my Autobytel rep. She constantly communicates with me and outlines proven processes that work. There is plenty of room for growth and she is helping us drive that growth across our stores. What are some tips or advice you would give other retailers when it comes to effectively managing Internet customers? Believe it or not, a common mistake I see is when people don’t take the time to read the actual lead. More than anything else, take the time to read the lead! Be sure to review all of the information. If the customer indicates they don’t want to be called in the morning, don’t call in the morning. If the customer says they would prefer to email, don’t call. And finally, communicate with your representative on a daily or weekly basis. What are your general thoughts about the auto industry right now? How are sales? Any interesting things happening with your auto group that you’d like to share? What I’m most excited about is the fact that our auto group is very involved in the community. Each year, we give away a free new car to a Tennessee student who has at least one A on his or her report card by entering the student’s name into a drawing. If they have five A’s, their name is entered five times. We even pay the sales tax on the vehicle. We have done this for about six years now, for juniors and seniors who live anywhere in the state of Tennessee. This past year, we had over 100 kids show up to enter their information. They have to bring their report cards and they have to be present to win. I am very proud that we are able to provide such help to dedicated students at such a pivotal time in their youth. We also hold our Trunk-or-Treat event every year – we’ve been doing it for the past five years – which is an immense community undertaking. Companies and individuals come to our lot and decorate their car trunks for Halloween. We provide the candy and everyone dresses up in costumes. Children from the community come to trick-or-treat at our dealership. We have the event on the Sunday before Halloween, when our dealership is closed, and we have had more than 10,000 people come for the event! It was epic. Please tell us a little bit about yourself...what do you like to do in your free time? Any hobbies or interests of note? My primary interest is in ancient history and mythology, so I spend a lot of my free time (not that there is a lot!) in reading books. I also love that Nashville has a burgeoning food scene. As I am out and about, I enjoy being a good customer, talking to people, being part of the community, all whilst prospecting. I genuinely love going to work every day.